Usnea lichen grows abundantly on trees in Europe and North America as a species of Parmeliaceae, a large and diverse family of Lecanoromycetes . Lichens are not plants, rather they are organisms composed of fungi and algae. Usnea lichen grows and thrives symbiotically with trees. It loves to thrive on sick or old and moribund trees, causing some people to blame usnea lichen for the death of their trees. City trees rarely have usnea lichen because it is very sensitive to air pollution. Usnea lichen is also known as Songluo (in Chinese), Old man’s beard, Hanging hair, or just tree moss. Who would benefit from it? 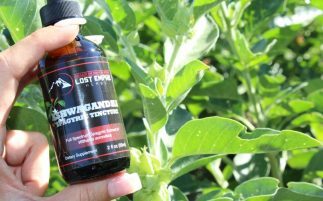 This herbal supplement offers benefits for people of all ages and its benefits span a range of health conditions and ailments. It heals and alleviates skin inflammation. 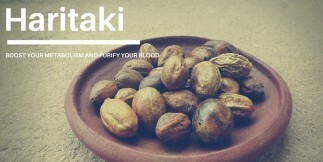 It is used as a topical antiseptic because it promotes rapid healing of skin wounds. 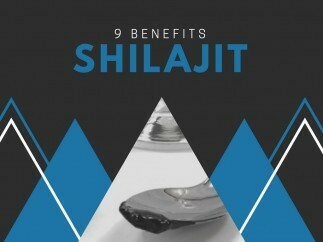 It soothes oral inflammation and a great way to get rid of a sore throat. In some countries, it is processed as lozenges. It is found helpful for thyroid disease. 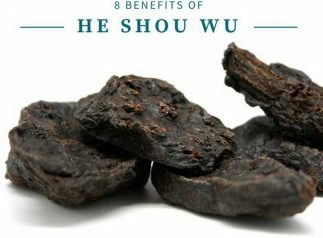 It is effective in killing tuberculosis, strepcococcus and staphylococcus (often found in boils and acne) bacteria. 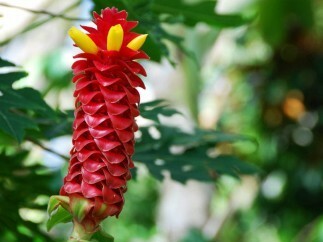 It has analgesic, anti-inflammatory and anti-disease properties. Even though it’s composed of fungi and algae, usnea lichen is an effective topical treatment against athlete’s foot and Chlamydia. Effective against body odor. It is sometimes used as a deodorant. The primary pharmacological content in usnea lichen is usnic acid, a natural antibiotic. Usnic acid works against several gram-positive bacteria. Usnic acid inhibits a certain process called oxidative phosphorylation which is crucial for the bacteria’s metabolism. Usnic acid is yellow and bitter, thus deterring animals from grazing on usnea lichens. 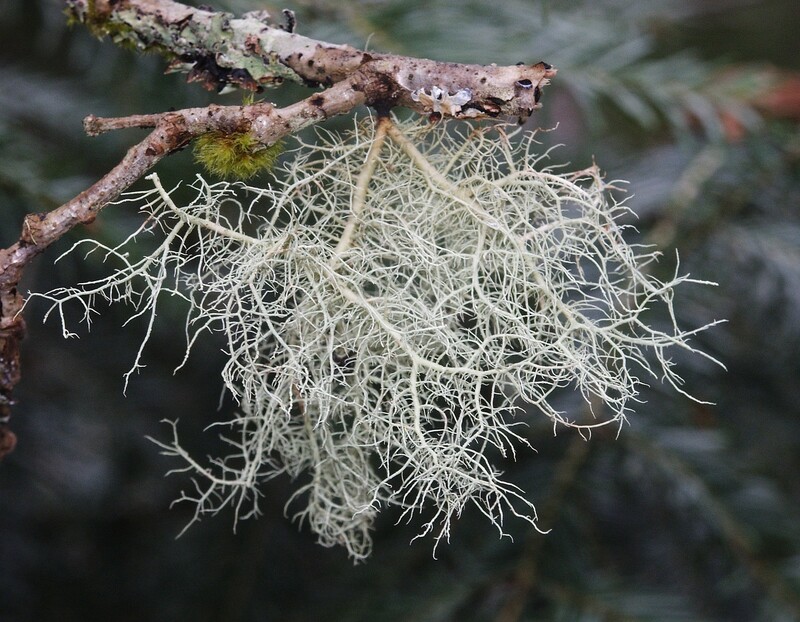 Because usnea lichen is highly medicinal, it is not recommended to be taken continuously. In traditional Chinese medicine, it is used routinely and periodically only when a person exhibits certain ailments. It is used mostly as a topical medication, although some consume usnea lichen internally. The use of usnic acid in weight loss is still disputed. Nevertheless, usnic acid is effective for the aforementioned purposes. Usnic acid has been reported to induce acute liver injury when taken as a supplement. One such supplement was called LipoKinetix and despite the damage, it ceased as soon as the supplementation was cease. Like mushrooms, usnea lichen has the tendency to absorb and retain heavy metals in the environment. If exposed to vehicular exhaust, they would absorb its toxins after which they would cease from thriving. For safety purposes, acquire usnea lichen only from a reputable seller. Should You Consider Taking It? Usnea lichen is among the trusted and proven herbal medicines for treating certain viral, bacterial and fungal infections. 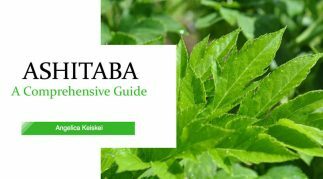 It might not be common, even in the world of alternative herbal health, but its benefits are undisputed. I didn’t know you could use this as a natural deodorant. I’m totally one of the sensitive people. Magnesium and baking soda do not work for me. I have been using a store bought natural deodorant that is just alcohol, water and essential oils. This product works great for me and I am planning on making my own once the spray bottle is empty. I’m not sure about the ratio of alcohol to water, so I will have to play with that. If you aren’t a fan of essential oils, I’m sure it would work fine to infuse the alcohol water mixture with your favorite smell good/ bacteria killing herbs. with any oil. I use jojoba. The same thing can be used as sun lotion. find it pure without junk added. I wish I could use a little baking soda in the all-natural deodorant but after just a couple of days I break out in a rash and stay sensitive to it. This is my favorite deodorant recipe and it’s baking soda free. When melted, add-5-6 tbsp of corn, potato, or arrowroot starch6-10 drops of essential oils of choice ( my favorite is 4 bergamot, 4 lime, and 2 peppermint. Whisk well, pour into glass jars, and cap. Store in a cool place so mixture stays hard. In summer, I keep mine in the fridge because if it is liquefied , you’ll need to stir before each use. I gave up using store deodorant a few years ago.? I find a slice of lemon works just fine. It doesn’t stain clothing or feel greasy, kills bacteria and is quickly bought.